The manga adaptation of the otome game. 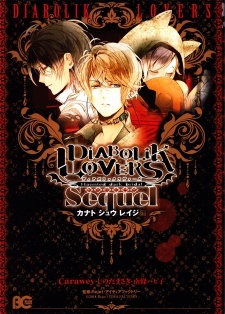 The story centers around the six sadistic Sakamaki vampire brothers and a girl, Komori Yui, who goes to live with them. Yui Komori is a positive-thinking girl who nevertheless is troubled by seeing spirits and experiencing poltergeist phenomena. In her second year in high school, she transfers to a new school — a night school for entertainers and celebrities — due to her father's work. There are rumors that there are vampires among the student body, and Yui ends up living with the Sakamaki brothers.